NEW YORK — Notre Dame, a survivor of wars and revolutions, has stood for centuries as not merely the greatest of the Gothic cathedrals and a towering jewel of Western architecture. And so it was that across the globe Monday, a stunned and helpless art world wept alongside the people of France as a massive fire ravaged the beloved cathedral. Boehm spoke shortly before the Paris fire chief announced that firefighters had been able to finally save the structure, including its two main towers. Much of the roof was destroyed. The exact cause of the blaze wasn’t known, but French media quoted the fire brigade as saying it was “potentially linked” to a 6 million-euro ($6.8 million) renovation project on the church’s spire and its 250 tons of lead. 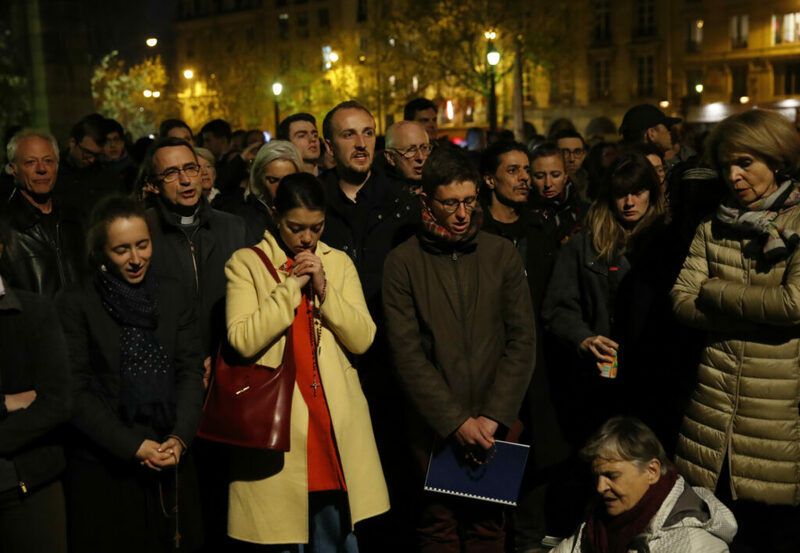 The Paris Prosecutor’s office, which was investigating, said it was treating it as an accident. Construction on Notre Dame – French for “Our Lady” – began in the 12th century and continued for nearly 200 years. 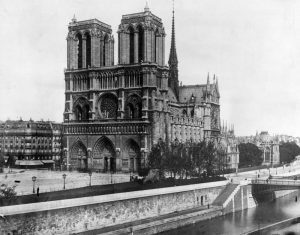 It sustained damage and fell into neglect during the French Revolution, but received renewed attention following the 1831 publication of Victor Hugo’s novel “The Hunchback of Notre-Dame.” This led to two decades of restorations, including the cathedral’s famous flying buttresses and a reconstructed spire. While most kings were crowned elsewhere, Napoleon Bonaparte made sure he was crowned there in 1804, and married there in 1810. Experts note that Notre Dame is an aesthetically smooth synthesis of different centuries. “It all blends together so harmoniously,” said Nancy Wu, a medieval architecture expert and educator at the Met Cloisters. She said she was struck by the delicacy of the structure, as well as that in the three stunning stained-glass rose windows, and the elegant exterior carvings. Aside from the structure, art experts were concerned about the fate of countless priceless artworks and artifacts inside, including relics like the crown of thorns, which is only occasionally displayed. Those worried about the cathedral’s durability could, perhaps, take solace in one of Notre Dame’s more fascinating survival stories. In 1977, workers demolishing a wall in another part of Paris discovered 21 heads belonging to 13th-century statues from the cathedral. The kings of Judea, which were a prime example of Gothic art, had been taken from Notre Dame during the French Revolution and guillotined by anti-royalists who mistakenly thought they represented French kings. The heads, which were thought to be lost, are now displayed in the capital’s Cluny Museum. The mourning was not limited to the art world. Religious leaders, too, expressed deep sorrow over the devastation. “For the French, my God, for the world, Notre Dame Cathedral represents what’s most notable, what’s most uplifting, what’s most inspirational about the human project,” he said. Boehm, at the Cloisters, found herself thinking about how the cathedral is at once of the past, and of the present – a living, vibrant building, despite its age. “When you step inside it, you have at once the sense of everything that came before, and everything that’s still current,” she said.